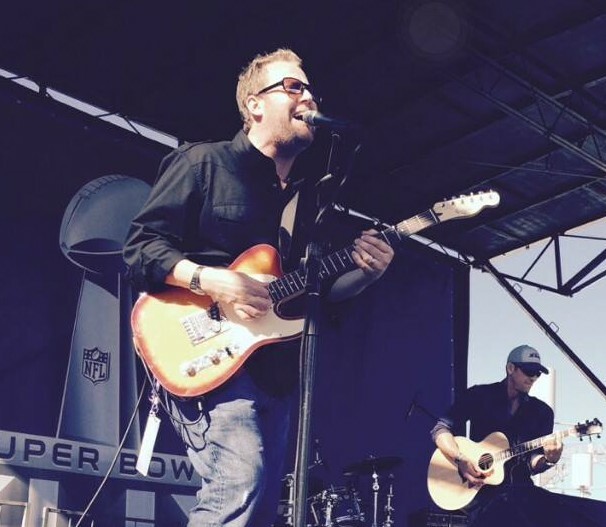 If you take blue eyed soul singing, funky guitar playing, a sense of melody, and air tight songs that make sense, what you get is, the music of Marcus Eldridge. Fifth generation native Houstonian Marcus Eldridge left for the live music scene in Austin ,TX at a young age. Not quite old enough to legally play in bars, Marcus honed his skills and live performance chops in the heart of the local Austin music scene. Inspired by the likes of Monty Montgomery, Eric Johnson, and David Grissom. For more than six years of building a following, and a musical identity Marcus decided it was time to take a stab at the big music business machine.After hearing Vince Gill’s opening guitar lick on “High-lonesome sound”, he packed up and headed for Nashville! In a relatively short time he landed, a major publishing deal with CURB Records, a spot on Grand Ole Opry live, and a ride on the tour bus for a major recording artist. After another six plus years of grinding and working his way into the business he decided it was time to take his heart and soul felt music to Texas where it all started. Marcus Eldridge also owns and operates the Electric Mertis Land recording studio. His passion for music extends beyond playing and allows him to produce and record music. If you would like more information on how to book a session to record your next album please contact Marcus here. REGISTER FOR THE SONGWRITER’S EXPERIENCE TODAY!